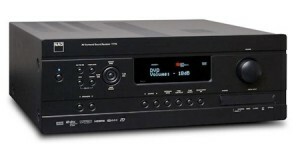 Home Theater Solutions is an authorized dealer for most of the leading audio video brands in the industry. From vivid plasma and LCD, HD televisions from top manufacturers like Stewart, Samsung and NuVision to front-projection systems from Runco and Meridian, we have the superior products to make your home entertainment system come to life. We’re a member of the Home Theater Alliance and CEDIA, and we’re certified by the Imaging Science Foundation (ISF) and THX Level 1 and 2. As with any high-tech industry, the home entertainment industry is always changing. Home Theater Solutions has a knowledgeable crew, who are eternally educating themselves on the latest advances in products and solutions. This passion for our work assures you, our customers, the best and most technologically advanced equipment for your home entertainment systems. With groundbreaking developments in high performance audio and visual technology, Meridian pursues its desire to lose as little as possible from the original source. The result: richer, more detailed reproduction where information is processed beyond the range of the human ear and to the limits of the human eye. Discover Meridian and discover the true meaning of high performance. For more than two decades, Sonic Frontiers International has manufactured award-winning high-end audio/video equipment for music, home theater and distributed audio. Our products are used at all levels of music reproduction and sold internationally under the brand names Anthem, and Anthem Statement — the ultimate in high-end audio/video reproduction. Anthem products allow you to virtually ‘be there’ every time you listen to a favorite piece of recorded music or experience the excitement of surround-sound home theater. Our reputation in analog and digital design is legendary and our products continue to receive industry awards and acclaim in the finest magazines. Around the world, Anthem is consistently the brand of choice for leaders in the field of music and entertainment. In audio electronics, the bottom line is that the waveforms that go to a loudspeaker should be in every possible respect as identical as possible to the ones that were originally produced by the microphones used for recordings or broadcasts. They should look exactly like the original ones, and they should have the same time-relationships and dynamics they did at the outset. Keeping those factors straight – without adding any overlay of any kind – is what every NAD component is designed to do. The process involved can get tremendously complex. And as you go up the scale from lifelike to super-lifelike to “being there,” more and more subtle and demanding things have to be done right. It takes an enormous amount of attention. And we supply that attention at every stage, from the conception of a design onward to the delivery of the finished products that arrive in customers’ living rooms – and their durability thereafter. 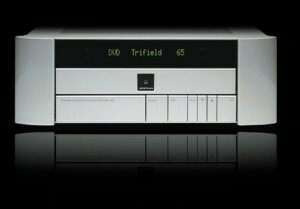 2007 marked THIEL Audio’s 30th year in the high performance audio marketplace. From humble beginnings crowded into co-founder Jim Thiel’s garage back in 1976 and participating in their first-ever CES in 1977, THIEL has evolved over three decades to become one of the premier suppliers of high performance audio components around the world. 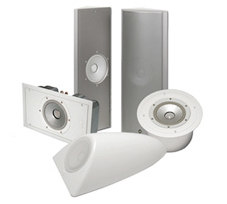 Today, fifteen diverse models of THIEL loudspeakers are proudly freighted to over thirty countries spanning the globe, all designed and built in a 35,000 square foot facility located in Lexington, KY. Over the past thirty years, THIEL has been recognized with an almost uncountable number of prestigious awards for product innovation and performance, as well as outstanding business acumen—not to mention overwhelming critical acclaim from the most respected audio critics. Innovative design, advanced materials and state-of-the-art engineering have made Paradigm® an international leader in speakers. From the best-buy Cinema™ and Performance Series to the sensational Monitor Series, from stunning subwoofers to incredible in-walls, Paradigm® speakers set the standard for superior sound. They’re renowned for their exceptional sonic accuracy, wide dispersion, ultra-low distortion, vast spaciousness, precise localization, deep bass and staggering dynamics! 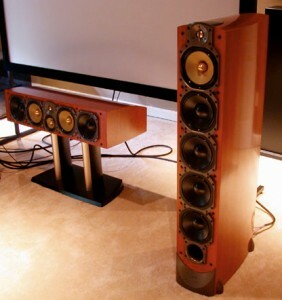 For the finest in music and home theater performance, don’t settle for anything less than the spectacular sound of Paradigm – the speaker of choice for even the most critical of listeners! 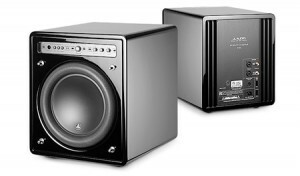 The challenges associated with designing high-output compact subwoofer systems can be quite daunting. In most cases, designers sacrifice low-frequency extension or output capability in order to keep the design small. In most cases, designers sacrifice low-frequency extension or output capability in order to keep the design small. The Fathom® subwoofers sacrifice nothing, thanks to the dynamic advantages of their proprietary JL Audio woofers. These exceptional drivers allow for a true subwoofer passband and very high output, while keeping distortion well below audible thresholds. To extract full benefit from the excursion envelope of its woofer, each Fathom® employs an exceptionally powerful switching amplifier with a large toroidal transformer and a patented circuit designed to enhance control and fidelity. Runco International, Inc. is the leading name in the “Home Theater” industry. For fourteen years, Runco has been synonymous with the leading edge of this steadily maturing industry. The company is credited with having the vision to see an industry evolving when none existed. Runco built a strong foundation for the home theater industry to become a distinguishable segment of the retail landscape. After identifying the market expansion years ago, Sam Runco positioned the company to benefit from the market’s growth. Runco made key acquisitions in companies and technology to create platforms that appealed to a mid-range market with products that have the “sizzle” of Runco’s high-end brand name line. The acquisitions also introduced home theater video products with basic product offerings and some of the romance of the higher and mid-range systems to a broader market. A core competency for Runco for more than two decades, our home theater and home cinema projectors grace the most elegant, opulent and impressive rooms around the world. 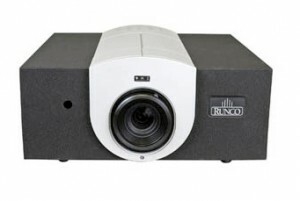 With a legacy in video engineering, Runco has created and perfected image reproduction to offer unique projectors that are truly incomparable. 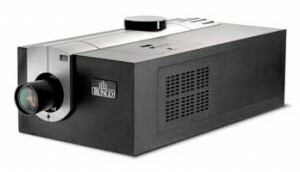 Always at the bleeding edge of technology, Runco projectors use the latest enhancements in video. Runco validates and perfects these enhancements to offer products that are truly differentiated from any other manufacturer. 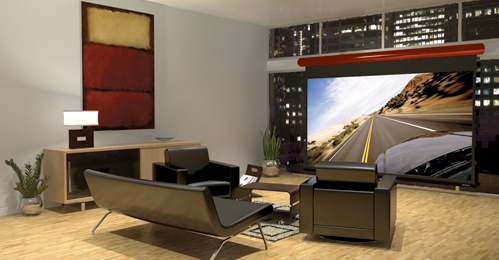 Each Runco product can be customized for perfect integration into each customer’s individual home theater. Only Runco has this incredible heritage and unique dedication to craftsmanship and customization. 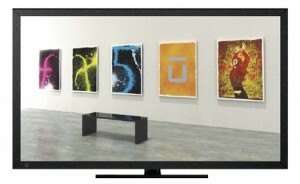 Established in 2004, NuVision is the premium manufacturer of flat screen TVs for the luxury market. Our products are only available for a very select group of specialty retailers who belong to the CEDIA (Custom Electronics Design & Installation Association) network. Typically our products are specified for high-end home theater installations where quality and after sales service are of paramount importance. All models come with a 2 year warranty and a 2 day onsite, nationwide service program. Built by connoisseurs for connoisseurs, our screens deliver a unique visual experience which is second to none giving you the confidence of knowing you have bought into a brand which meets your very exacting standards. 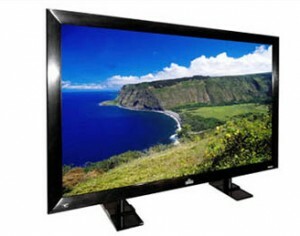 Home Theater Solutions can also get video solutions from consumer brands such as Samsung and Panasonic. The MX-980 is a powerful wand-style custom control designed to advance the state of the art of Home Theater programming and integration. Achieving an apex of power, style and versatility, it enables professional installers to more quickly and efficiently customize and automate sophisticated Home Theaters and whole house A/V systems — while empowering their owners to handle them as naturally as a race car driver hugs the road. Ideal for homes with one or more A/V systems, the MX-980 is as intuitive for installers to program as it is for users to operate. Its unique synergies automate and simplify operation of even the most complex home systems. Its many highlights include a big, bright color LCD display, an open programming architecture, Narrow Band RF capability, and seamless integration with other control devices. The MX-980’s display shares the vibrant color capabilities of URC’s popular MX-3000 Remote Control with an active matrix LCD that offers a 320×240 pixel window to any graphic an installer would like to provide, including BMP, JPEG, PNG, GIF and animated GIF files, all of which can be assigned to any of eight adjacent activity buttons. 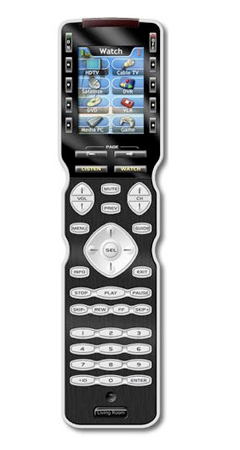 The MX-980 also integrates more strongly than other remotes with URC’s breakthrough MSC-400 Master System Controller. The MSC-400 flawlessly harnesses the power of sophisticated home entertainment systems to provide installers with options and advantages not otherwise available. It offers triggered macros, RS-232 and relay control, video and voltage sensors, and many more features — taming system complexity, while delivering unmatched flexibility, automation power, installation speed, and diagnostic capabilities. WiFi Speed Brings Cover Art, Artist, Album and Titles to the Touch Screen! The revolutionary MX-6000 brings the power of WiFi networking to the home theater, without compromising simplicity. The MX-6000 is the first home theater remote control to offer two independent communications and control methods simultaneously. The MX-6000 provides both a narrow band 418 MHz transmitter for instant control of conventional home theater components and a WiFi transceiver for high speed transfer of cover art, artist, album and title metadata. The high speed of the built-in 802.11 B/G WiFi transceiver enables the MX-6000 to display lists of artists, albums or songs and to display the cover art of the selected album on the Now Playing screen of the remote control. 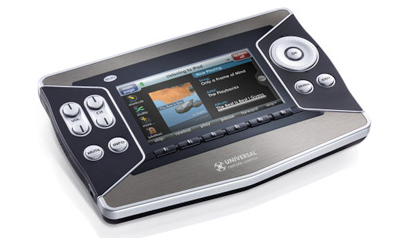 When the MX-6000 is connected to the Internet, pre-programmed modules enable instant access to personalized news, sports, weather and stocks. Unlike other devices, the MX-6000’s news, sports, weather and stocks modules are user-configurable without a programmer or a PC. On a whim, you can check out the opposing team’s scores, or get the weather forecast for a vacation destination. News, Sports, Weather and Stocks modules require that the MX-6000 be installed to a WiFi router with an Internet connection. The MX-6000 offers home theater owners instant no rules control of AV receivers, flat screen TVs, projectors, cable and satellite receivers, DVD players and changers. Unlike other WiFi remote controls, the MX-6000 uses a second RF (Radio Frequency) transmitter to control conventional gear instantly, without the frustrating delay of waiting for the remote control to “join the network” when you simply want to turn the system on. There are three possible companion RF base stations that provide instant control. The MSC-400 Master System Controller enhances the capabilities of the MX-6000 by storing and issuing Smart Macros to your main system components. These smart macro commands offer the ultimate in reliability and speed, since a single command, measuring fractions of a second, can trigger long complex macro routines with RS-232, IR, relays or even USB keyboard commands to a PC. The MRF-350 and MRF-260 RF base stations enable an MX-6000 to address or route IR commands to conventional components anywhere in your home. By placing MRF base stations near your TVs, cable/sat receivers and other conventional IR controlled components, you can enjoy instant, no pointing, no rules operation everywhere in your home.